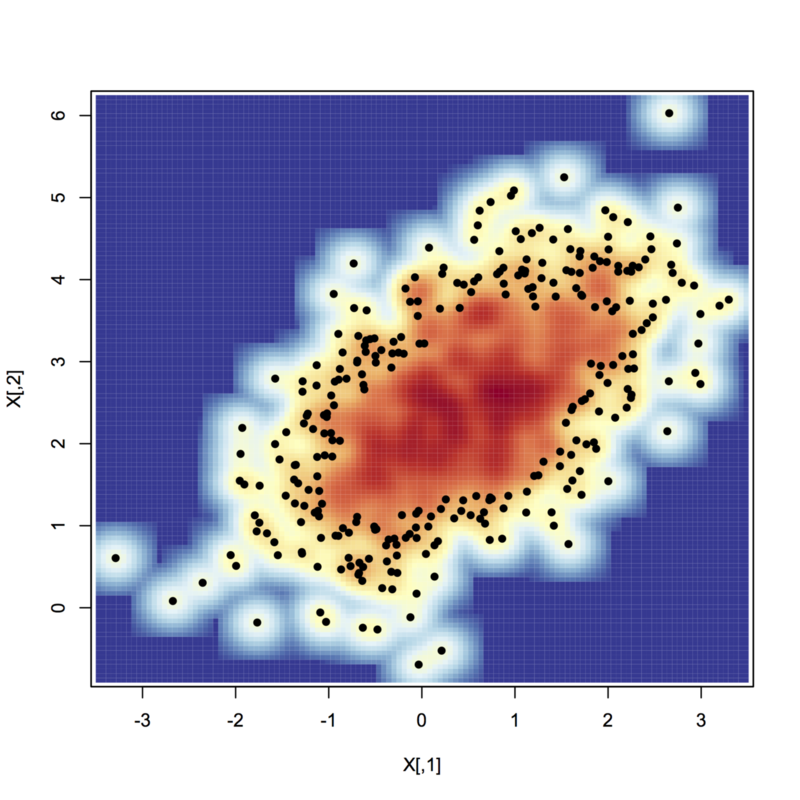 I saw this plot in the supplement of a recent paper and I'd love to be able to reproduce it using R. It's a scatterplot, but to fix the overplotting there are contour lines that are "heat" colored blue to red corresponding to the overplotting density. How would I do this? 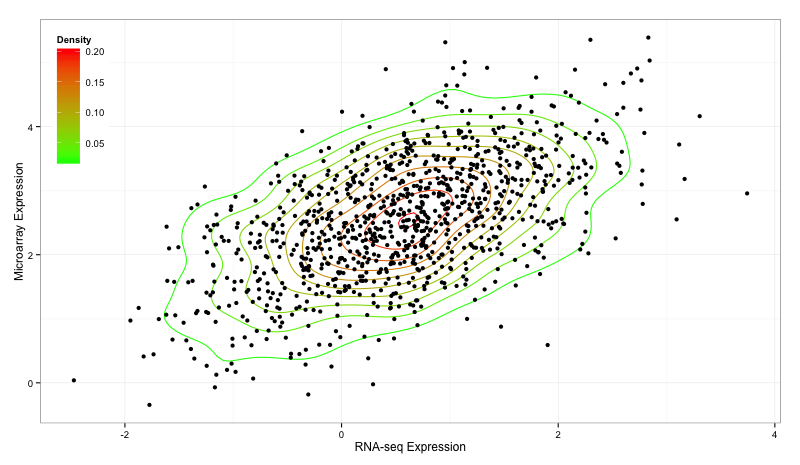 No-one has suggested ggplot2 for this?? Not the answer you're looking for? 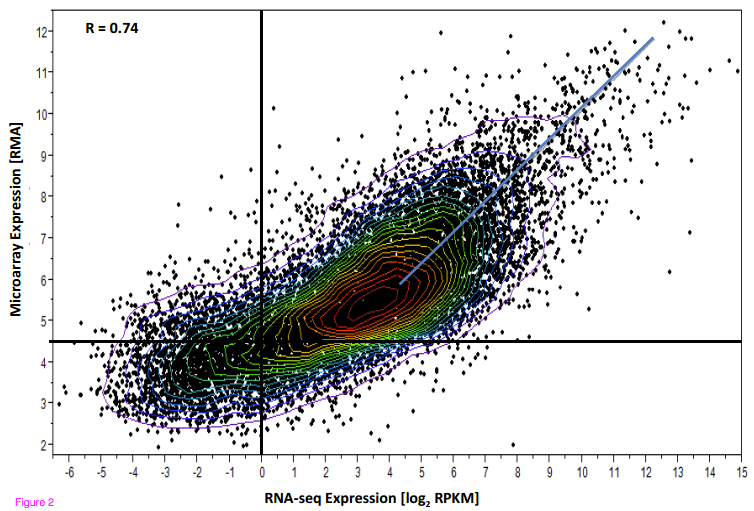 Browse other questions tagged r data-visualization scatterplot or ask your own question. 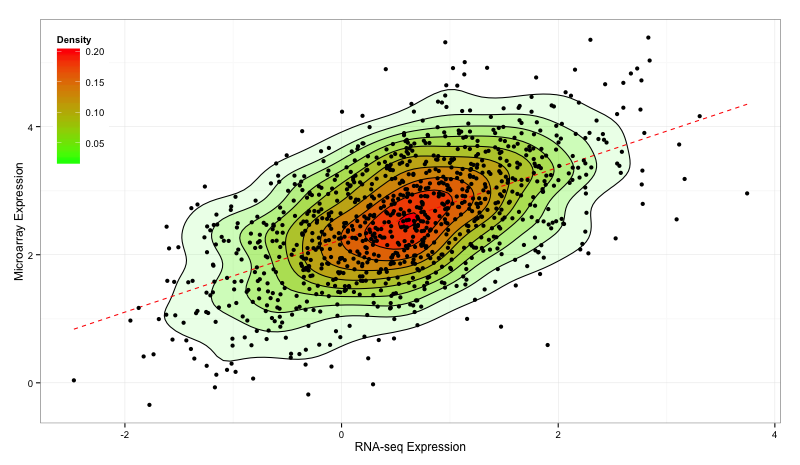 How to plot the contribution of each regression coefficient in a model, with R? 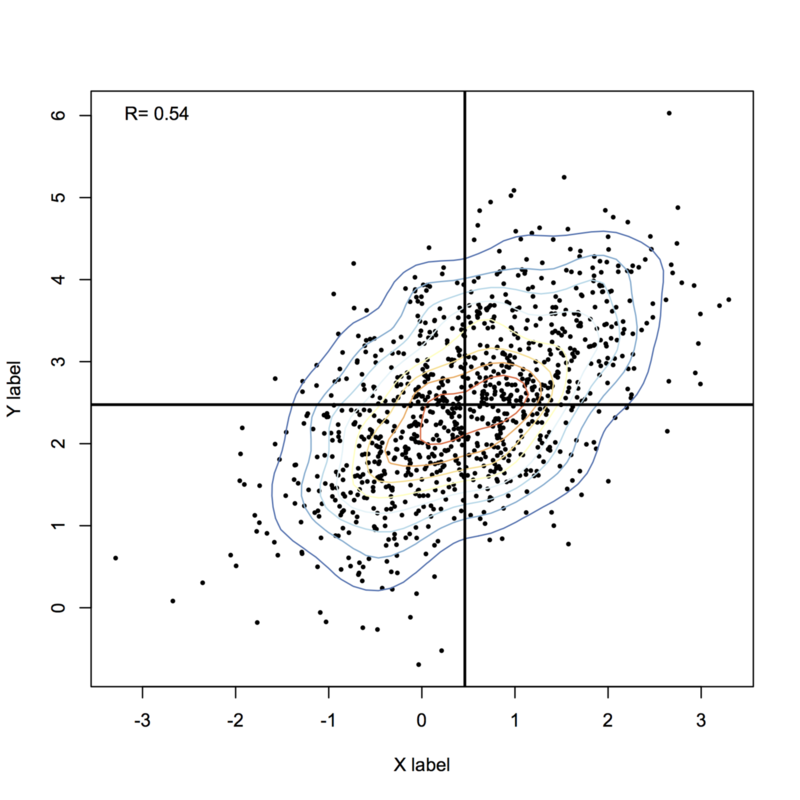 Best way to visualize scatterplot with thousands of points in a grayscale-friendly way?